Despite this, I feel Chinese (as weird as that sounds). 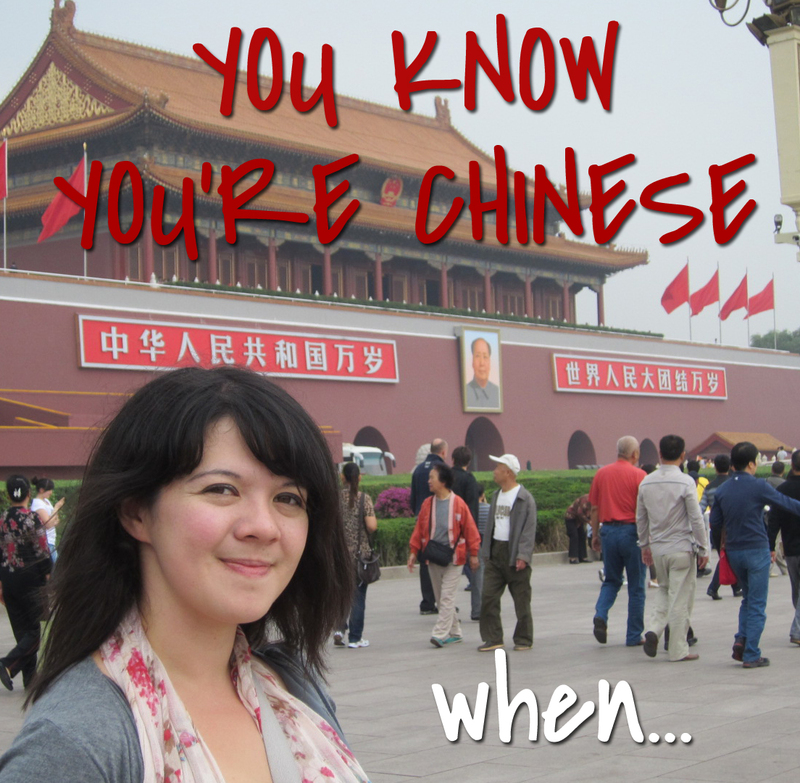 I was so accepted and integrated during my time in China, I felt like one of their own. Sure, my proverbs sucked. Yeah, I couldn’t read all the Chinese characters. Still, I was invited to almost any and every outing, and many of my Chinese friends treated me like family. I hung out with the locals like I was their neighbor, and they treated me as such. Thanks to the kindness and passion of my friends in China, I felt like I truly discovered what it means to live and understand China. 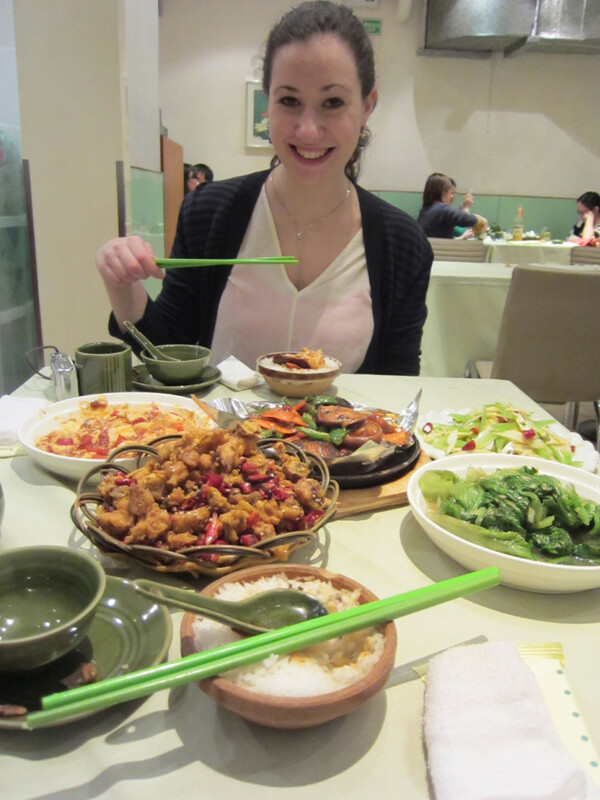 After living in China for five years (and now living with a Chinese boyfriend), I picked up a few Chinese habits. When I found myself using chopsticks instead of a fork, listening to Wang Lee Hom instead of Maroon 5, and screaming ‘aiya’ every time I was frustrated with someone, I knew it happened. Unless all four of these dishes are present, I feel empty. Like a part of my soul is missing. When I first moved back to the states, I was constantly served carbs, carbs, and more carbs (pasta with mashed potatoes anyone?). When I asked where the vegetables were, my white friends piled the salad on me thick (by the way, Chinese people hardly eat salad–they consider it ‘raw’ and ‘uncooked’ and thus inedible). 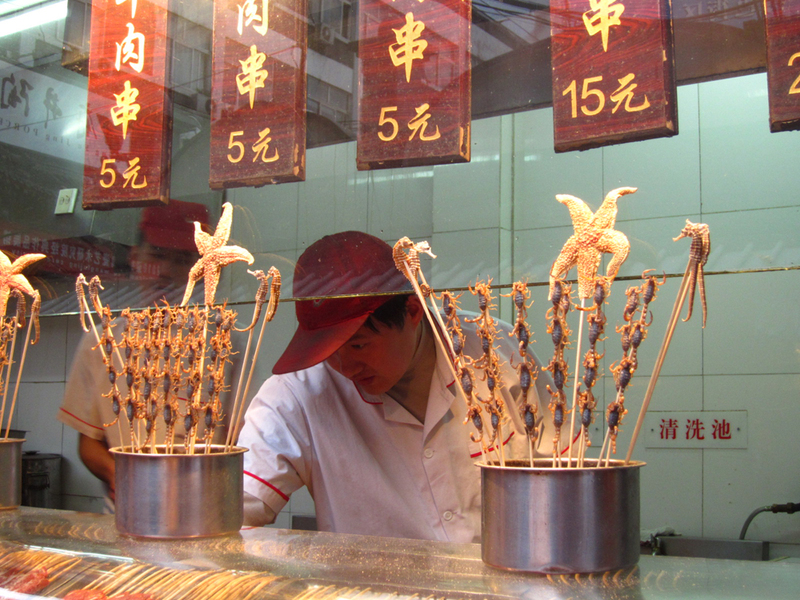 In China, having a balanced meal is crucial. Stir fried vegetables. At least one dish with meat in it. Rice or noodles to match (and heaven forbid, don’t eat rice and noodles at the same time). While soup can’t always be done, it’s better to have to ‘whet’ the meal. In America when we first leave the nest, our first dish straight into college usually involves pasta with a jar of Prego. In China, most young adults learn how to make the famous stir fried egg and tomato. It sounds simple: Eggs. Tomato. That’s it. But oh, it’s more than that. It’s a glorious mix of sugar, soy sauce, fluffy eggs and moist and tender tomatoes. Deceptive in name, this dish can actually be tricky. Use a recipe at first. 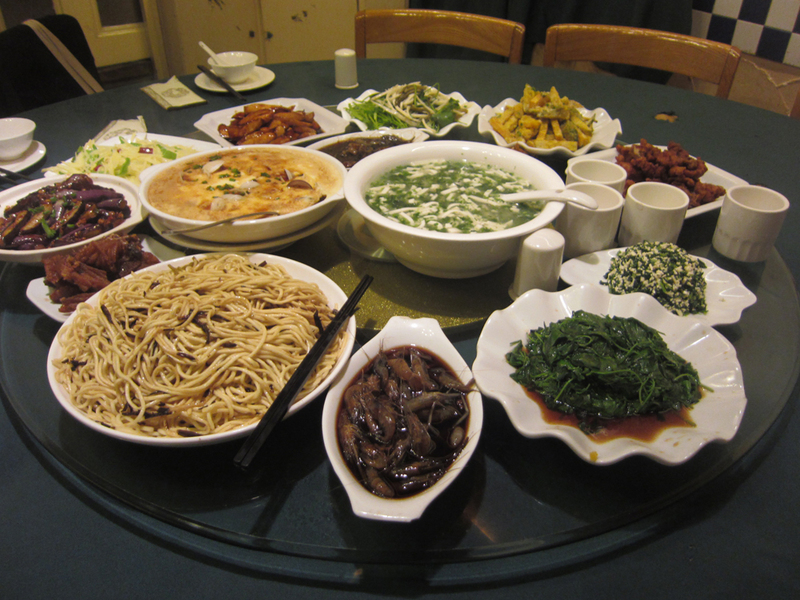 Other famous egg dishes include eggs with leeks (韭菜炒鸡蛋）and eggs with carrots (或萝卜炒鸡蛋). Again, use a recipe at first. On the 300th try, she finally gave me the thumbs up. She said it was somewhat passable under Chinese standards. If I crawl into bed with my jeans on, Richard will scream bloody murder. When I used to lie on top of the sheets (not tucked inside) wearing anything but my pajamas, Richard would sweat bullets. You could tell he was trying his hardest not to push me off the bed. Z, unable to endure like Richard, actually pushed me off her bed when I casually sat on her bed wearing my jeans and t-shirt. Since then, I am careful not to wear ANYTHING but pajamas under and on our bed sheets. I say this. To people who know nothing about China. It needs to stop. “Dammit, woman, I’m treating!” I snap the card out of the server’s hand. “No, STOP!” Z tackles me, pries her credit card from my hands and throws it at the server as she holds me down. I lose and accept defeat. But there’s always next time. While splitting the bill (AA, as called in Chinese) is more commonplace among young people, it’s still very customary to treat friends and family to meals and start a mental tab on who should pay for whose dinner. Surprisingly, it all works out and no one usually gets the shaft. When You’re Sick, You Want Congee. Stat. Soup doesn’t cut it anymore. 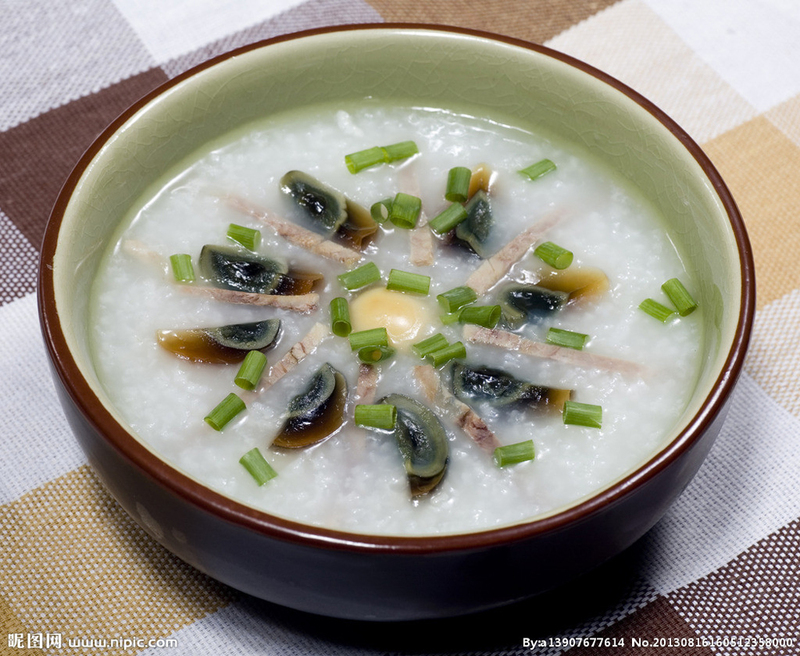 You need congee (粥), that glorious bowl of rice soup. Preferably with quail eggs. Oh, how I miss my special congee shop down the street that delivered right to my door (despite living virtually next door). Now I have to settle for Campbell’s Chicken Noodle. 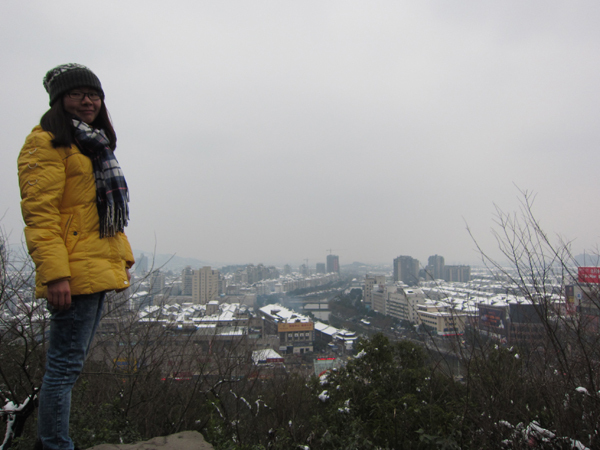 China gets really, hell-freezing cold. And there’s only one solution. A down feather coat. A fugly one. Most down feather coats in China look ghastly–but you’re so cold, you don’t care. Mine was neon pink and could stop traffic with its colors. It was not pretty–but boy, was it warm. Despite living in the USA, I still use Wechat and QQ everyday. I miss Xiami (the Chinese equivalent of Spotify, which is blocked here). I still watch Chinese videos on Tudou (the Chinese youtube). 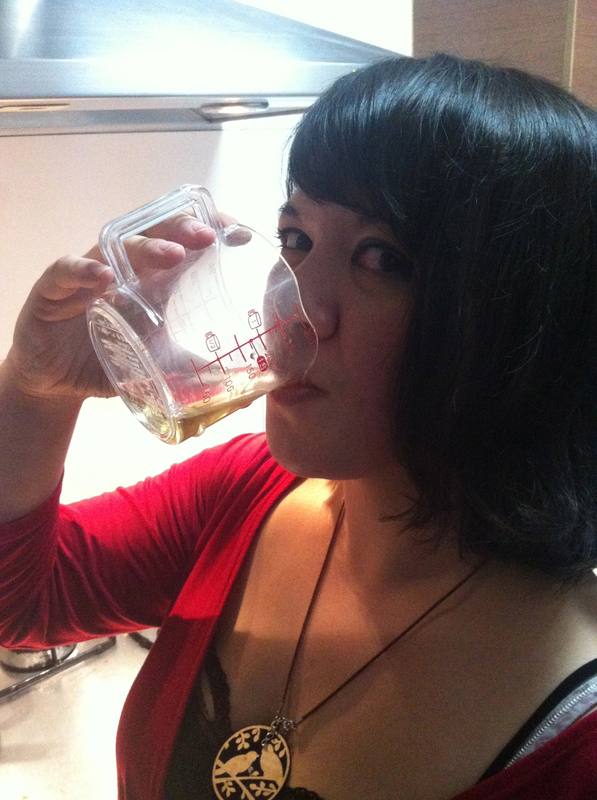 Yes, I am drinking 2 dollar Tsingdao beer from a measuring cup. Classy. Basically, you know you’re Chinese when you drink hot water on a regular basis. From a clear, glass cup. And at restaurants. And you stop using ice in mass quantities. And you start thinking maybe your stomach ache is from all that ice cream you ate, which misaligned the temperature and chi in your body. You’re not only forced to go to KTV, but you realize–by god–I think I like it! You become addicted. You start memorizing songs, Chinese and English. Bon Jovi, Journey, Wang Lee Hom, S.H.E… you give it all you’ve got in the booth. And then, there’s the final test to being accepted into Chinese culture (and tossing all your pride out the window). It’s singing this song at KTV. Did you pick up any habits from your time in China or your Chinese partner? Why do you think you’re turning Chinese? Lol… it’s not just jeans on the bed, but also PJs around the house! Certain clothes should be confined to certain environments! “Ai-YAH!” my mother-in-law says this ALL the time. Usually about me, I think. It’s the Cantonese equivalent of “OH. MY. GOD.” isn’t it? I’m going to practice and say it back to her one of these days. Andy confirmed that she also made congee, minus the expensive quail eggs. He’d never heard of the tomato and egg dish, though. I don’t think he believes me. The battle for the check is always. And epic. But I had that already, from the White Tiger side. Okay, what is up with that song? Is it just ubiquitous? Is there an American equivalent? My big thing is NO SHOES IN THE HOUSE. I tell people to be respectful of Andy’s Hawaiian and Chinese traditions. But in reality, I would just like to vacuum less. Hmmm, I never heard of the bed thing before. But I like it. The tomato and egg dish may be regional (or a mainland thing). Battle for check is epic. It isn’t a real fight until you make the waitress look really uncomfortable. Haha, I wish I knew the American equivalent for that song–I guess it would be Backstreet Boys or something. Anyway, it’s a really god awful song, but so fun in karaoke when you’re in a room with 10 Chinese people. My mother often battled my father over the no shoes in the house thing. She lost, and thus our carpet turned to crap. After I lived in Japan (where walking indoors with shoes was an automatic ticket to hell), I realized my vacuum time was cut in half, and the floor looked much better. I started enforcing the ‘no shoes in house rule’ after that. Plus, well, Richard won’t stand for it either. “It isn’t epic until you make the waitress look really uncomfortable.” LMAO. Truer words were never written. 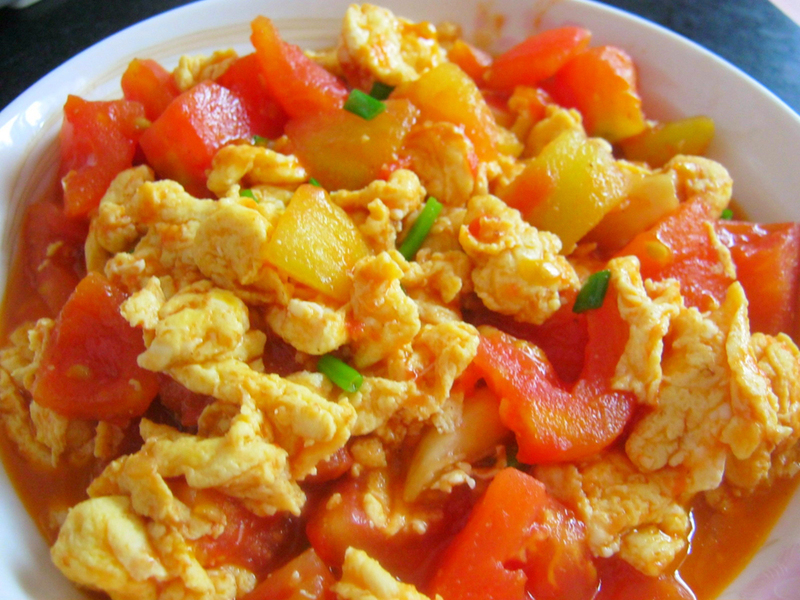 Egg and tomato is also popular as a home-made dish here in Taiwan. It’s awesome! Aha, so they do make it in Taiwan! And yes, it is awesome 😀 I wonder if the recipe is different in Taiwan? Arrrgh, I hate that song, haha. I limit myself to classics like Tian mimi and Yueliang daibiao wo de xin! Woah, you really are Chinese, Mary, haha! The only thing from your list that I have done is having a down feather coat, but it is not fugly, it is black and non shiny and I need it to survive the winter! I like zhou, but not necessarily when I am sick, I can eat it anytime. And I can’t cook anything Chinese for the life of me! (That’s C.’s job, ahem). Haha yeah I’m pretty sick of that song too. I love tian mimi! And Da hai!!! I’ve seen a few nice down feather coats, but they usually come in the most bizarre colors (like my neon pink one). And I agree, it’s essential to survive the Chinese cold! I eat zhou at anytime too, but for some reason it really hits the spot when I’m sick. 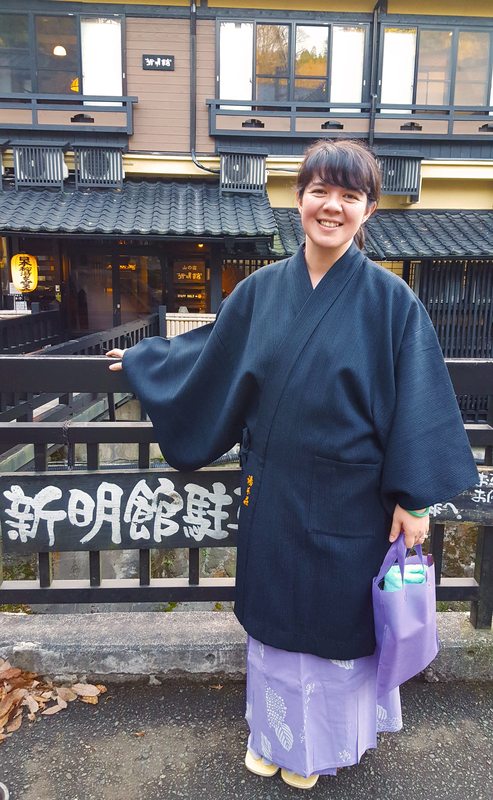 Plus I saw Shanghainese people walking around in their PJs all the time–I’m guessing they have “outdoor” and “indoor” jammies, otherwise that’s just nastay. Yes! I remember walking to work in Tianjin before the sun came up and being stared at like I had two heads by a man walking backwards in his pajamas. He was staring at me! Haha I’m glad that you can relate! Especially to the bed thing. Another problem I have is wearing my pajamas in other rooms besides the bedroom (since I love to lounge around in my pajamas). My boyfriend will scream bloody murder if he sees me cooking with my pajamas on, haha. I couldn’t help smiling. Those are very well chosen. Well done Mary!